By Cotton Delo . Published on August 04, 2013. 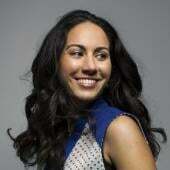 Facebook has tapped a seasoned technology marketing executive most recently with Google to be its first-ever CMO. Gary Briggs, who'd previously been chief marketer at Motorola Mobility upon Google closing its acquisition of the hardware maker in May 2012, is taking on the role of CMO. He officially replaces Eric Antonow, VP-product marketing, who's overseen the company's marketing efforts since 2010. The change in title reflects an expanded scope for the role. Mr. Briggs's duties are to lead branding and marketing efforts for all Facebook constituencies of users, developers and potential consumers of new products like Facebook Home. He'll oversee the Facebook teams responsible for product marketing, platform marketing and events, communication design, brand marketing and content strategy. 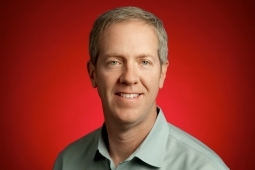 Before being given the reins at Motorola, Mr. Briggs had been VP-consumer marketing at Google, leading marketing efforts for search, commerce, Chrome, Google+, Google.org and the Google brand overall. He was CEO of a gift card startup called Plastic Jungle before joining Google in 2010. Before that, he worked at eBay for six years in roles as VP-consumer marketing, general manager of eBay Canada, global marketing head of PayPal and CMO of eBay North America. Early in his career, he spent six years at PepsiCo. Most recently Mr. Briggs was an advisor to Motorola CEO Dennis Woodside and its new CMO Bill Morgan, advising them on branding and positioning. Facebook provided a statement from Mr. Briggs on his new role: "Facebook isn't just a company. For more than a billion people, it's their connection to the friends and things they care about most. Telling the story of such an important and still very young brand is an incredible opportunity, and I cannot wait to get started." Mr. Antonow will stay on through the transition period and is leaving Facebook in September to work on a project related to his interest in education, according to a company spokesman. There will also be a change in the company's organizational structure. While Mr. Antonow reported to chief operating officer Sheryl Sandberg, Mr. Briggs will report to its VP-product Chris Cox. Facebook's head of consumer marketing Rebecca Van Dyck -- the former chief marketer at Levi's -- reported to Mr. Antonow and will continue reporting to Mr. Briggs. Projects under her purview include the marketing for Facebook Home (the app that lets the social network do a takeover of the home and lock screens of Android phones), which included the social network's first TV ads, and the ad commemorating Facebook's billionth user.